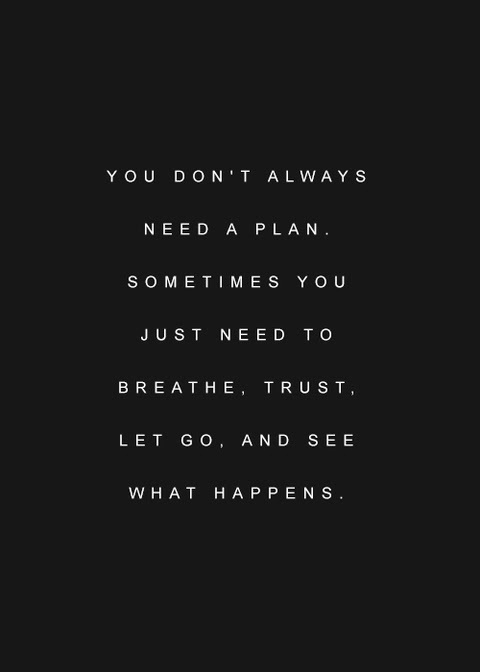 We’ve all heard the expression “Let go and let God”, right? I assumed everyone understood what this means until I posted this photo on Facebook and a friend came back with the question “How do you do that?” She made me think. Maybe this concept isn’t clear to everyone. After all not everyone has gone through a 12-step program which is where the phrase originated. I talk about letting go in my book, “The Power of Faith”, so this might be a good time to delve into the concept for my online friends. It wouldn’t hurt for me to revisit this phrase either so here’s my best shot at explaining what “Let go and let God” means and how to put it into action in your life. 1. First step is to realize that letting go is a process. We learn to let go. It doesn’t come naturally. We develop the ability to let go gradually as we experience loss, grief, and pain in our lives. We gain experience in this skill when a loved one dies or leaves home, a beloved pet dies, or when we endure a divorce or breakup to list a few examples. 2. Another term related for letting go is “detachment” which means separating ourselves from someone or something. In recovery terms, detachment means emotionally disconnecting from the abusive, destructive or unhealthy behaviors of another person for our own well-being. It does not mean not loving the other person, it means no longer allowing their hurtful behaviors to steal my peace and my joy. Some extreme examples would be living with an alcoholic, drug addict, gambler, or someone with Alzheimer’s or some other debilitating disease. When we detach in love, we are loving ourselves by separating our emotional well-being from the emotional well-being of the other person. Whenever we are in relationship with another, detachment is key to maintaining our peace of mind and well-being. Otherwise, we risk smothering the other person and losing the relationship. Another way to put this is “Give the other person their space” if that helps. 3. Letting go has to do with responsibility. Sometimes we take on responsibility for issues that are not our own. For example, a parent taking financial responsibility for an adult child. A mother not allowing her children to suffer the consequences of their actions. A spouse covering for an addictive trait of the other such as overspending, drinking, gambling, etc. People do not want to be controlled. I know I don’t. We each are responsible for managing our own lives, but not the lives of those around us. When we let go of control, we let God take the driver’s seat in our lives and we allow the other person to make their own choices. 5. Another application for this concept is in the realm of material possessions. Many people hold on to stuff for years and years for emotional reasons. They have a hard time “letting go” of stuff. You’ve seen the TV show “Hoarders”, haven’t you? If you have a hard time parting with material things, your house is cluttered, and your garage is overflowing, you may want to examine your reasons for holding on to all of it. Does it make you feel loved? Secure? Are you holding on to the past? You may be getting a lesson in letting go. 6. When we learn to let go in our lives, we are basically saying “Thy will be done” to the universe and God. We no longer insist on our agendas, our plans, and our timeframes. We are more flexible and resilient when the unexpected happens. Control really is an illusion anyway, didn’t you know? God is the only one who is in control. We humans just think we are. Let me repeat that – control is an illusion. 7. The final example I will share is in regards to our priorities. There are only 24 hours in every day and we only have so many days to live. How will I choose to live them and with whom? I personally reexamine my priorities several times a year. I make a conscious choice on where, how, and with whom I want to spend my time. I have learned that in order to add something or someone new to my life, which I love doing, I must let go of something or someone else. When I let go of unhealthy relationships I am free to move on to healthier ones. When I let go of anxiety and worry, I make room for joy and love. When I let go of activity, I make room for relaxation and self-care. Make sense? Learning to let go is one of the major life lessons if we want to achieve peace in our spirits. When we surrender to what is we have less stress. I have a post it note that has a quote from Oprah which says “All stress comes from resisting what is”. I think that is powerful, don’t you? What have you let go of that made a difference in your life? What do you need to let go of today? Letting go is an ongoing process because we are constantly in a state of change. If you enjoyed this post, please post a comment or click the +1 Google icon. Until next week, keep looking up!